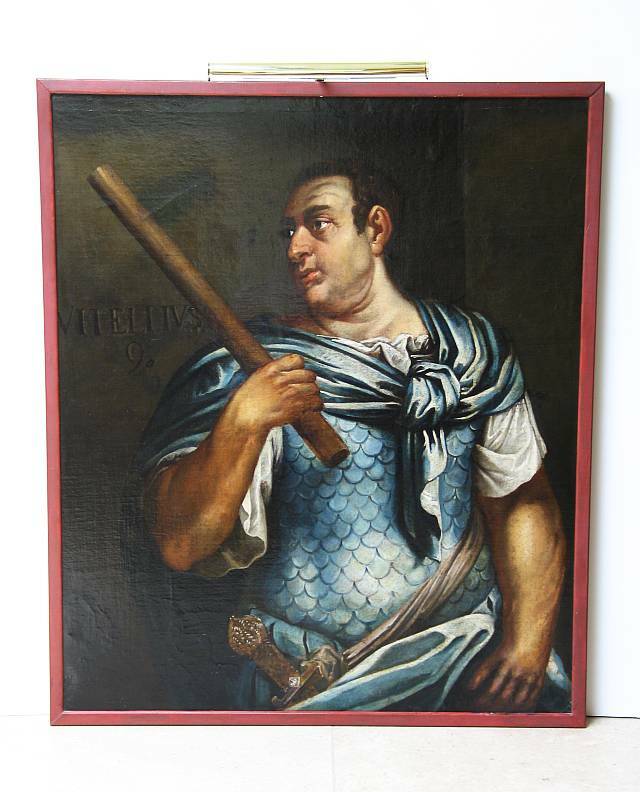 Heroically scaled oil on canvas painting of Roman Emperor, Caesar Vitellius. Modern frame. From Castletown, Ireland and subsequently Tony Duquette estate. Some restorations.